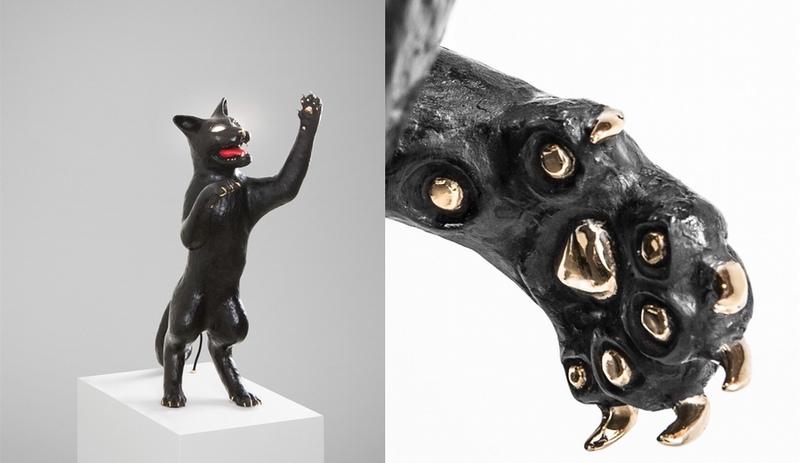 Studio Job’s cast-bronze cats created a stir in the Mayfair Carpenters Workshop Gallery. Flexing their spines, fighting and jumping, they sported LEDs in their menacing eyes – which you turned on by pressing a button on their rear end. Yes, really. On view until October 10. Image courtesy Carpenters Workshop Gallery. Jeremy Maxwell Wintrebert's glass vessels captured everyone's attention at the Victoria & Albert museum. Created with champagne brand Perrier-Jouët, and inspired by an art nouveau bottle from 1902, they were crafted in a German factory that still makes mouth-blown stained glass windows. 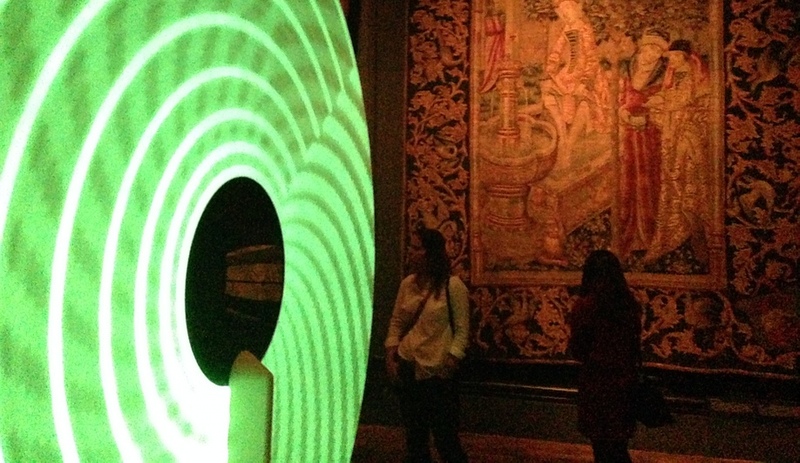 This phosphorescent rotary machine called Candela was displayed to dramatic effect in the V&A's Tapestry Galleries. Created by a multi-disciplinary team – graphic designer Michael Montgomery, product designer Felix de Pass and ceramicist Ian McIntyre – it cast beautiful shadows around the room. 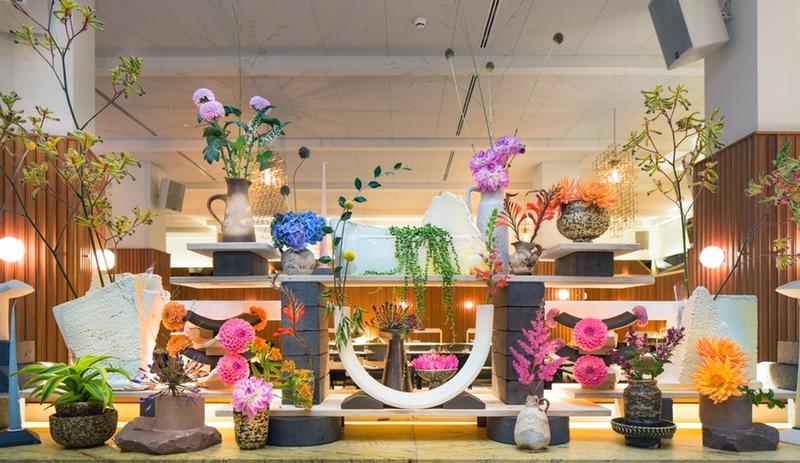 Bethan Laura Wood designed two spectacular floral installations shown at London's Ace Hotel. This one was indoors in the hotel's Hoi Polloi restaurant and part of the Super Stimuli event curated by new design mag Modern Design Review. 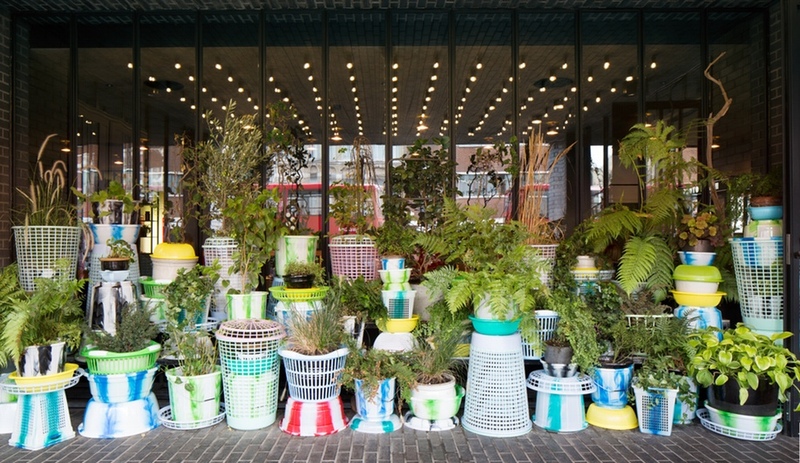 Bethan Laura Wood's outdoor floral installation at London's Ace Hotel. 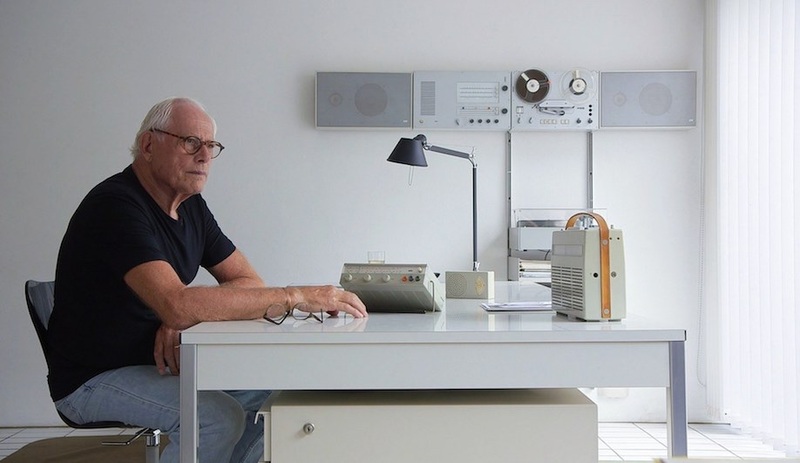 Photo by Peter Guenzel, courtesy of Ace Hotel London. 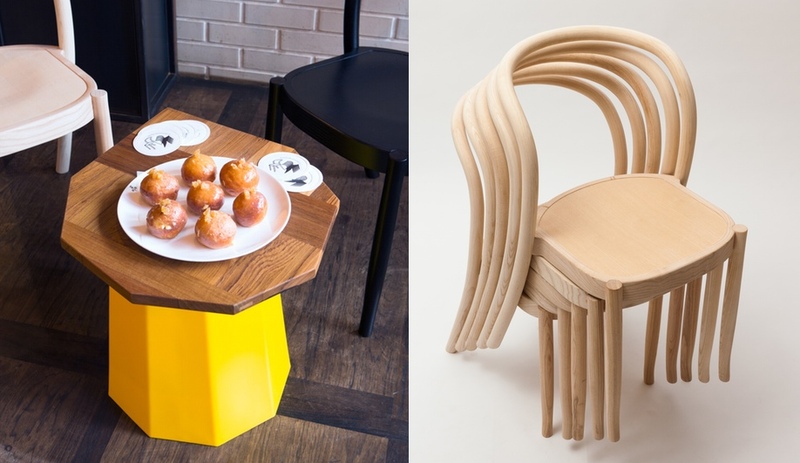 These new stackable chairs and faceted table, also shown at the Ace Hotel, are by Martino Gamper. As are the custard-filled ginger-laced doughnuts on the left, which were created especially for the festival by the ginger-loving London-based designer. 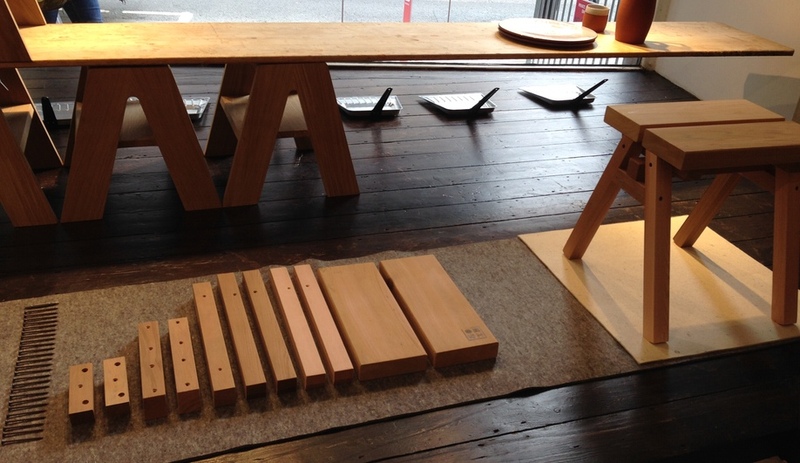 East London furniture shop SCP showcased little-known Japanese manufacturers and factories. 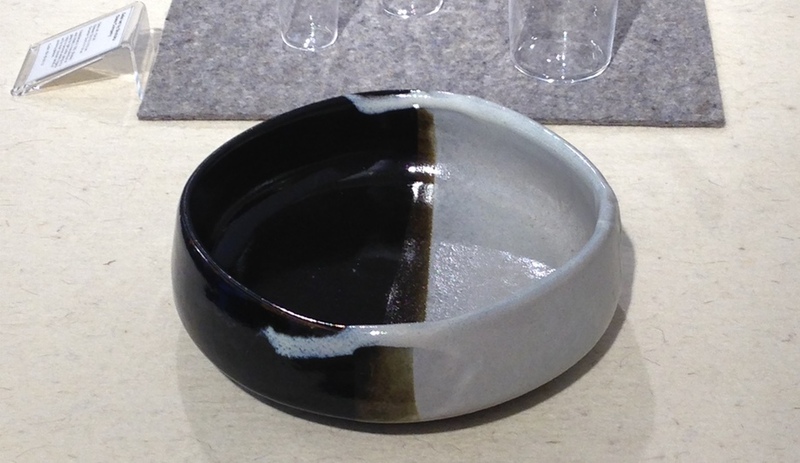 Ultra-thin but super strong glasses by Tokyo manufacturer Shotoku and tactile and functional containers and bowls from the ceramics centre of Mashiko celebrated the notion of "Simplified Beauty." Also at SCP, these versatile indoor/outdoor stools that come packed in a DIY kit were conceived by Ishinomaki Laboratory, a Japanese furniture brand born out of a post-Tsunami wood repair community workshop. Peter Marigold expands on his 2011 Wooden Forms vessels for Gallery Libby Sellers with these larger Wooden Tables. 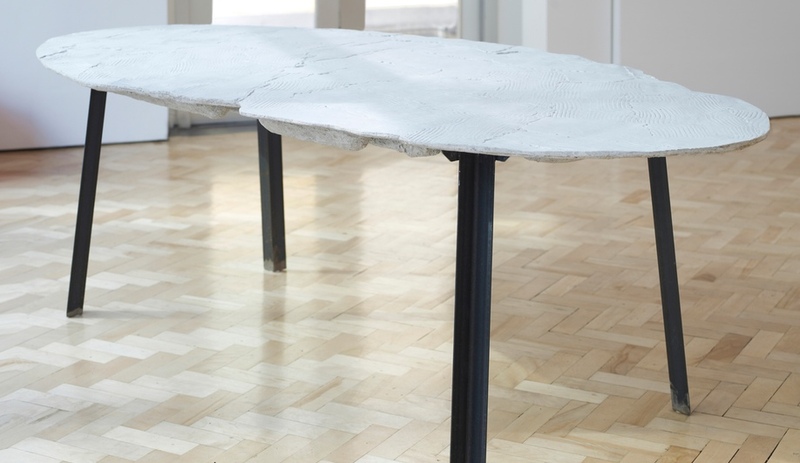 He casts their form – derived from individual wax impressions on wood – in sturdy Jesmonite and steel, to reference the idea of wood rather than containing the material. Image copyright Gideon Hart. The Finnish Ambassador’s Residence was the perfect setting for Klaus Haapaniemi’s new collection of pendant lights, plates and super-graphic fabrics inspired by Nordic folklore. Bee-shaped chocolates by Finnish chef Antto Melasniemi completed the installation. Photo copyright Gilbert McCarragher. West London boutique Mint curated a selection from Milan and the UK graduate shows. This time, the objects responded to the theme of the impact of craft on design. 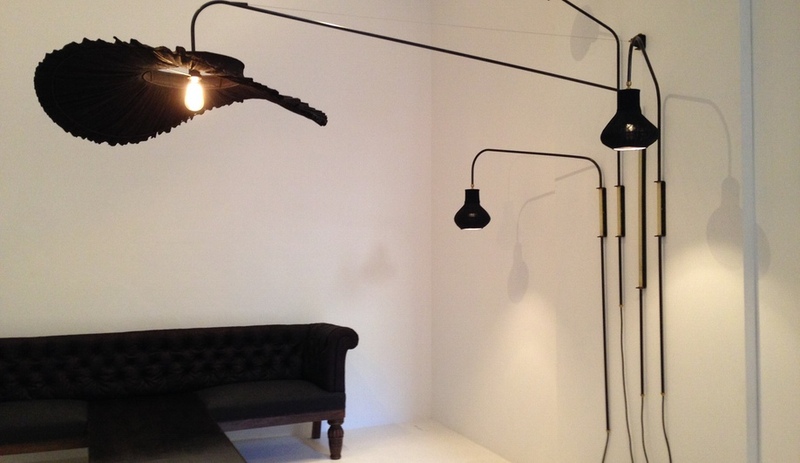 Maarten Baas’s chandelier for Lasvit and Martijn Rigter’s Cutting Edge sofa were placed alongside classics by Angelo Mangiarotti and Roy McMakin. Young design duo JAMESPLUMB brings discarded objects and materials back to life. The Burnished Indigo luminaires and Chesterfield tables use vintage fabric made by a tribe in southwestern China, treated with an ancient process involving indigo, egg whites, pig’s blood and fermented fruit juices. More of Studio Job’s cast-bronze cats, in the Mayfair Carpenters Workshop Gallery. Image courtesy Carpenters Workshop Gallery. Zeitgeisty Danish company Hay and co-brand Wrong For Hay converted their new London showroom into a pop-up restaurant serving food by Helsinki chef Antto Melasniemi and a gorgeous salon displaying their wares, styled by Ben Kempton and Melina Keays. Downstairs in the new showroom, Hay and Wrong for Hay launched such products as Simon Jones’s Trestle table (replete with a removable linoleum top and legs that can be cleverly nested), graphic tree trunk vases by Richard Woods and Lars Fjetland's Cloche table lamp, which has the feel of a classic. 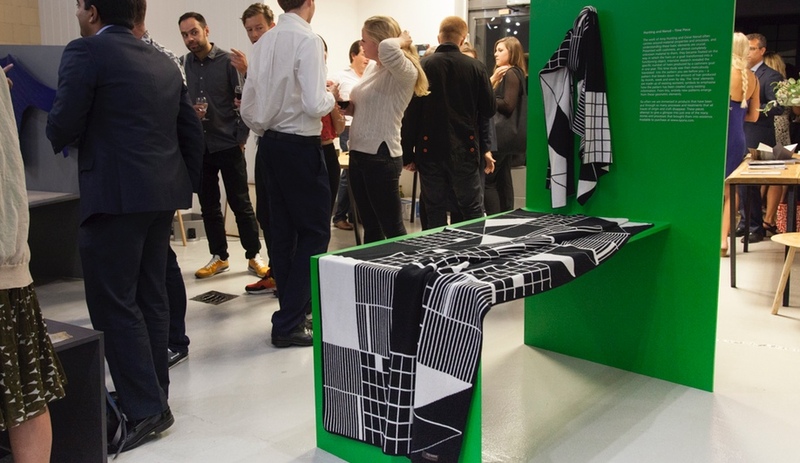 Over at DesignJunction, Ventura offered a conceptual festival vibe. 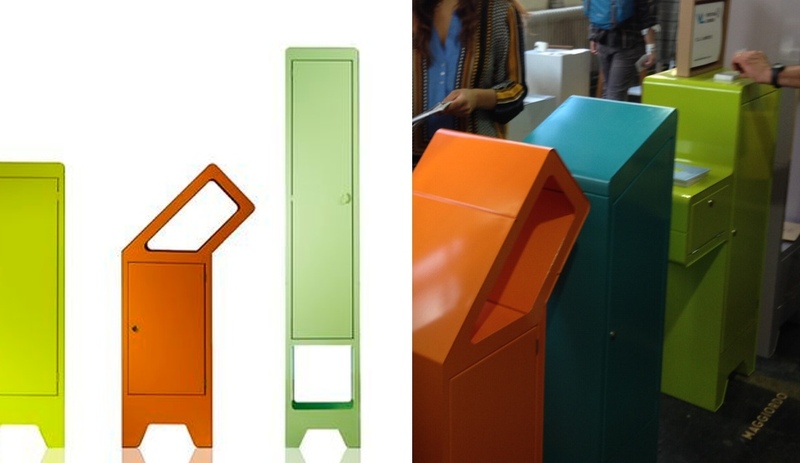 These colourful, curvy cabinets were designed by Italy's Fratelli Lamière as a fresh take on grey sheet-metal cabinets, for schools and hospitals. The designers are developing an app so people can design their own pieces directly on their smartphone. 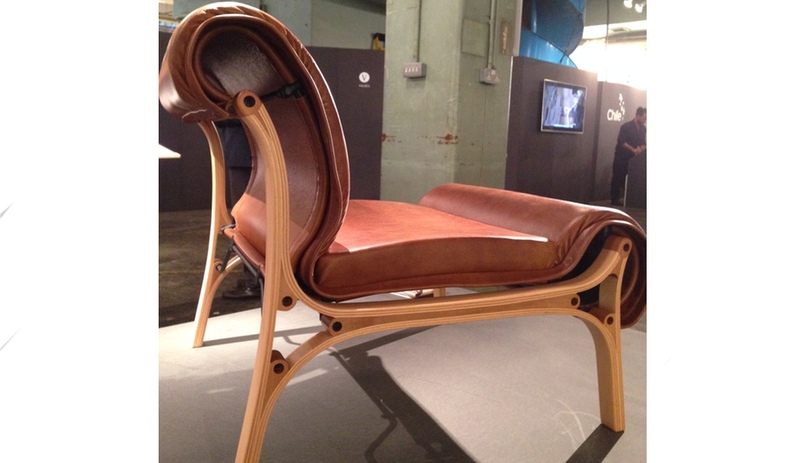 Also at Designjunction distinguished Chilean architect and chair designer Cristián Valdés debuted an impressively sculptural collection of chairs and sofas using soft stretched leather, laminated wood and tubular steel. For a joint Dezeen and MINI show at Designjunction, London's Lucy McRae explored how astronauts prepare for zero gravity and sensorial isolation. 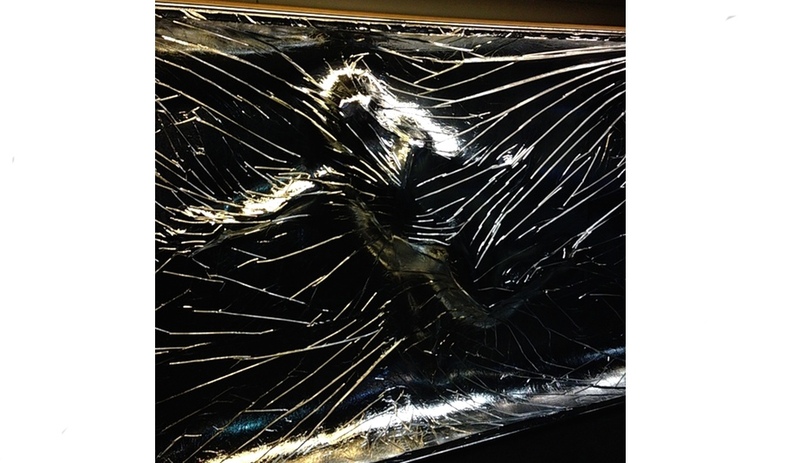 Synchronised swimmers performed inside a vacuum chamber, wrapped and outlined in what looked like billowing silver foil (actually NASA's Mylar lined with silk). AfghanMade, an initiative of the U.S. government, encourages big carpet companies to make products in Afghanistan and provide on-the-ground training too. The yellow hues of this surreal handmade rug, designed by Giulio Iacchetti for Nodus are inspired by the country's desert landscapes. 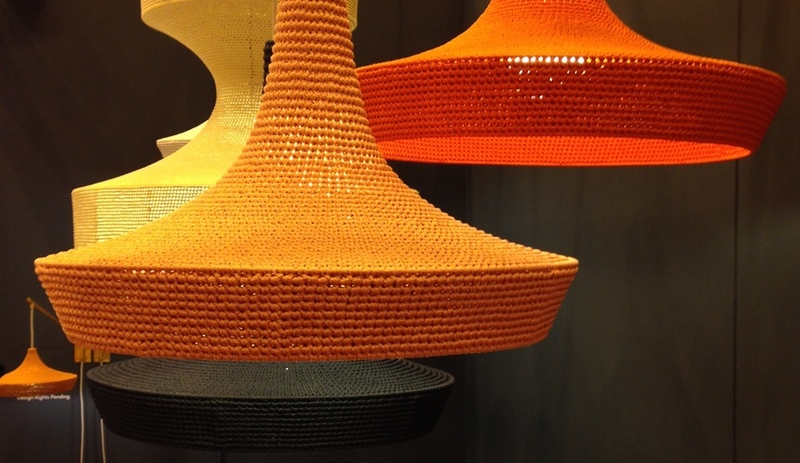 Exemplifying the current craze for all things craft, these structured textile lampshades by Naomi Paul at 100% Design garnered endless plaudits for their handmade yet indisputably modern quality. They come in various hues and sizes. 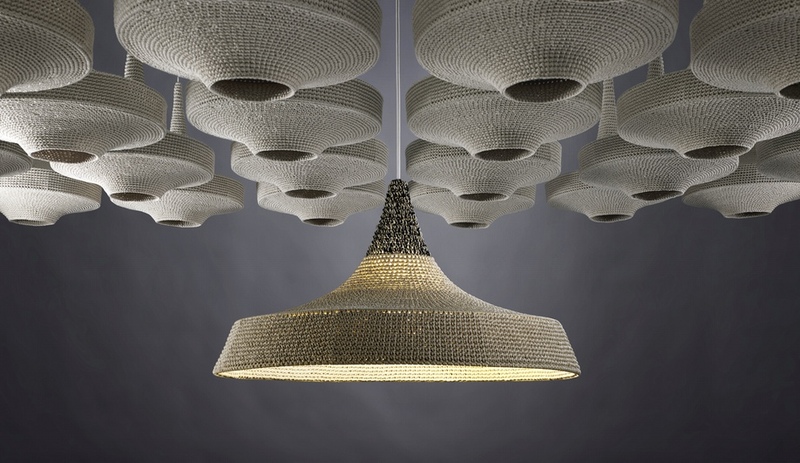 More of Naomi Paul's textured chandeliers. At Brompton Design District, Oyuna Tserendorj invited designers to work with cashmere from her native Mongolia. 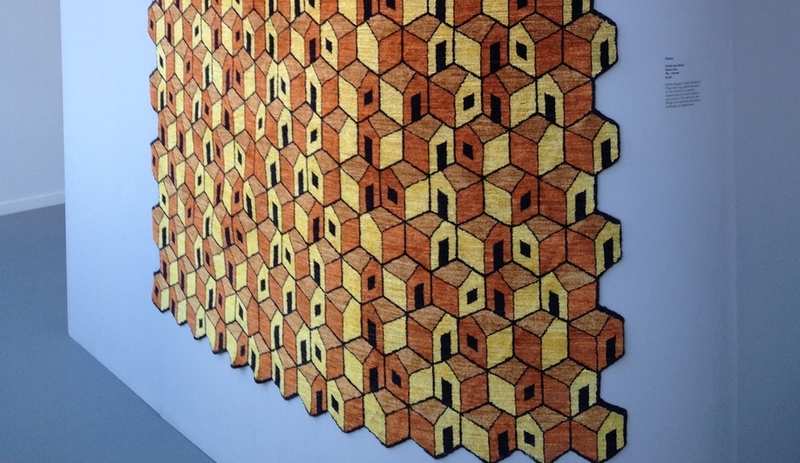 Hunting & Narud's bold pieces feature geometric representations of how much hair a goat cashmere produces per day, week and month. Photo by Amandine Alessandra, courtesy Brompton Design District. 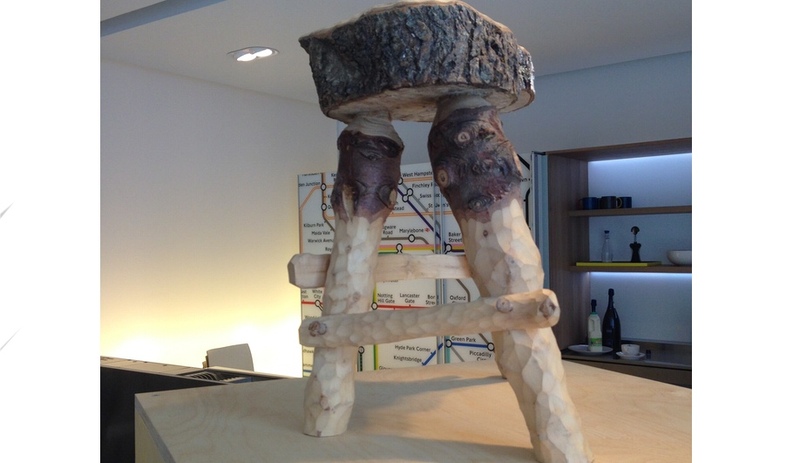 Italian kitchen brand Valcucine hosted the Wood Mood exhibition, featuring 12 wood pieces – including this delightfully raw stool by London-based Fabien Cappello – at its London showroom. The show travels to New York for Archtober and Singapore early next year. 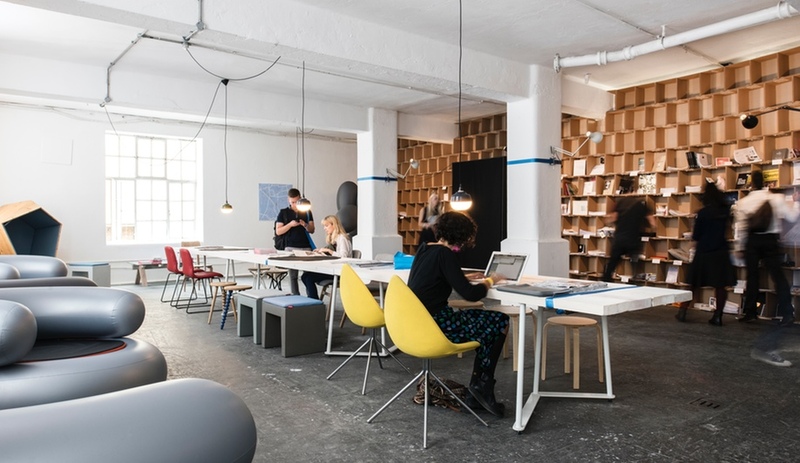 Collaborative design office Studio TILT devised the press office at TENT with input from journalists and exhibitors. The light-filled room had different areas for meeting, working and relaxing and furniture provided by TENT exhibitors, such as pendant lights By Kimu Design of Taiwan inspired by Japanese rice paper lanterns. Image copyright Jill Tate. 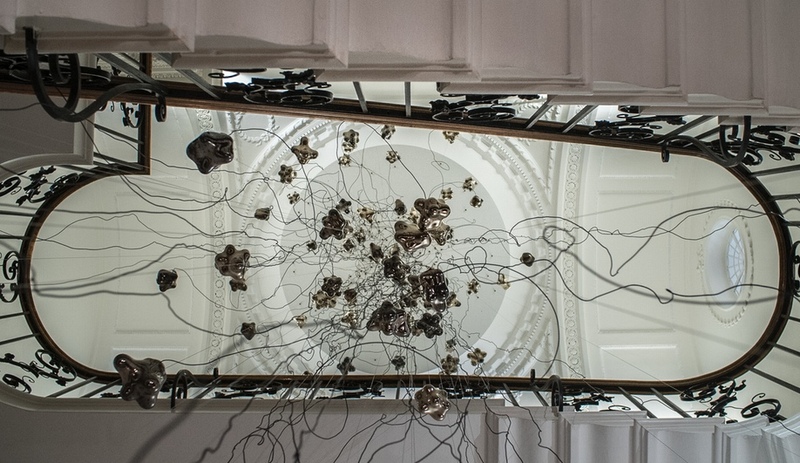 At the Ely House, built in 1772, Vancouver lighting company Bocci, run by designer-architect Omer Arbel, collaborated with antique dealer Mallett on this staircase installation – the fixtures forming a modern counterpoint to the traditional grandeur of the venue. Boasting over 300 events, LDF transformed the capital into a stage for design and art. Here, Azure contributor Giovanna Dunmall picks her favourites – from Studio Job’s fighting cats to Naomi Paul’s crafted pendants. 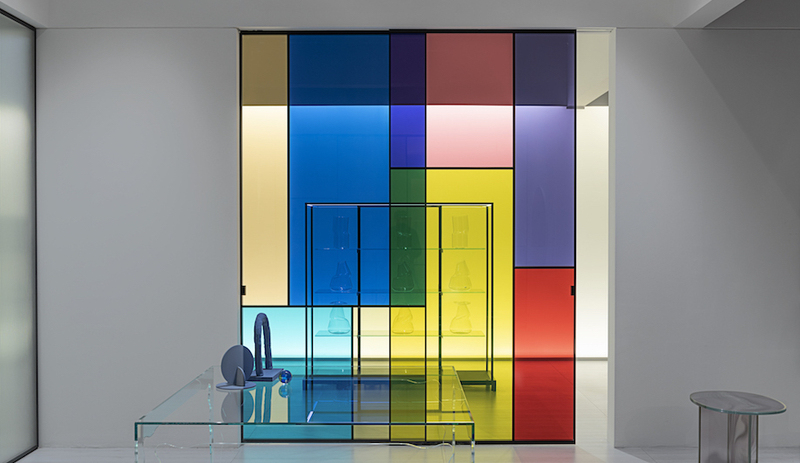 From September 13 to 21, London Design Festival filled the city with installations and design events, reaching well beyond the historic 100% Design fair. 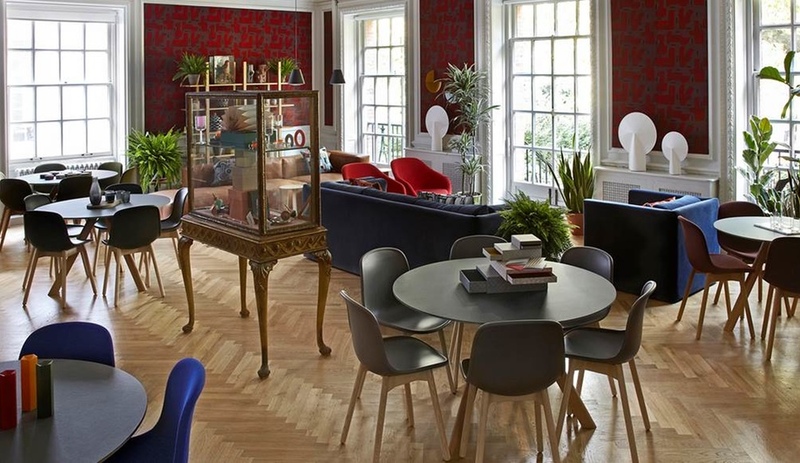 It encompassed the quirky Brompton Design District in the west, the ever-growing Designjunction event just off world-renowned Oxford Street and the colourful TENT London fair and hip Ace Hotel in the east. At the last, the colourful and talented Bethan Laura Wood created two spectacular floral installations, proving that a simple idea can be made grand with a touch of ingenuity. 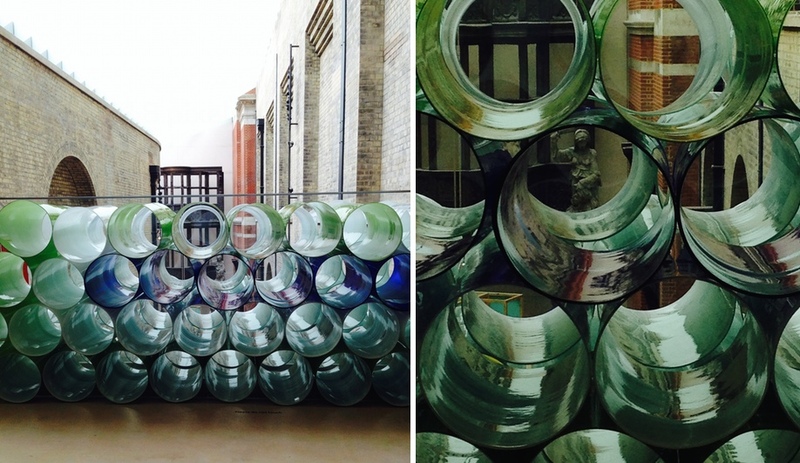 The Victoria & Albert museum also hosted numerous powerful design exhibits – from the collective Wish List show to Jeremy Maxwell Wintrebert’s singular installation made of glass vessels. 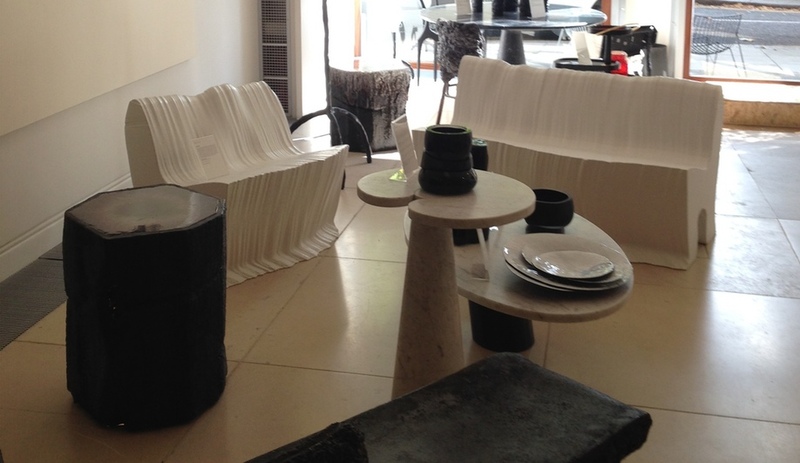 Such brands as SCP, Wrong for Hay and Vitra also presented strong new offerings. 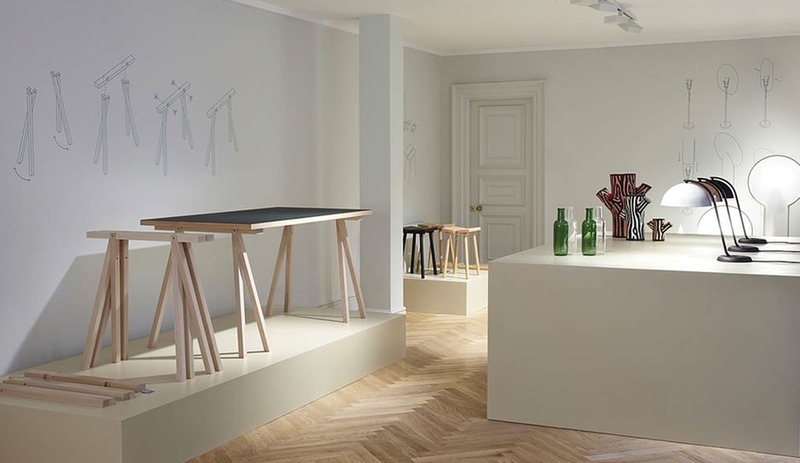 For its part, British brand SCP surprised for its showcase of under-the-radar Japanese manufacturers making minimal ceramics; while Wrong for Hay hosted a pop-up restaurant in its new showroom, and presented such new pieces as Simon Jones’s simple yet flexible Trestle tables. 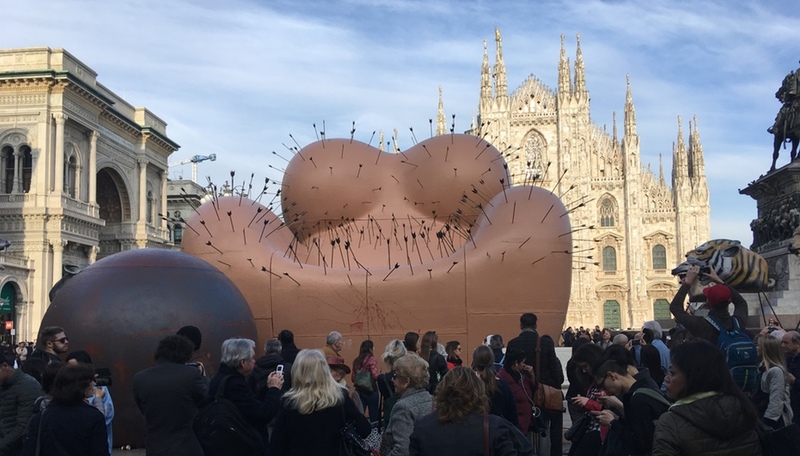 As is always the case at London Design Week, the quirkiest work on view got the most attention, and in this arena, Studio Job is unparalleled for mixing irony with jaw-dropping artistry. 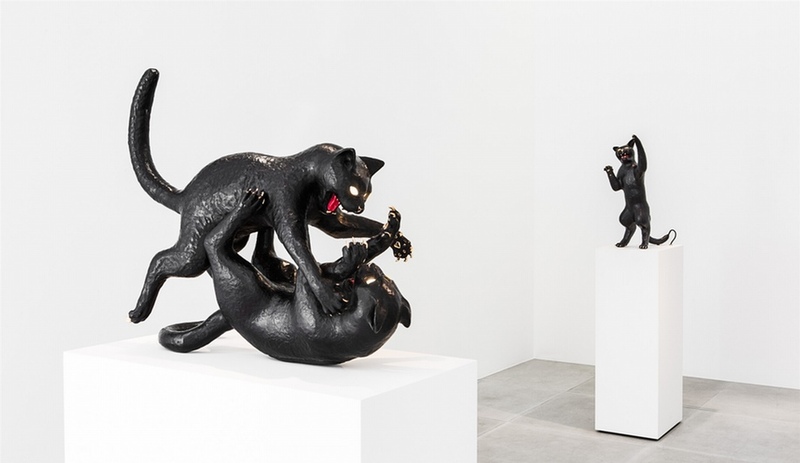 The Dutch-Belgian duo’s cast-bronze cat sculptures, shown in the Mayfair Carpenters Workshop Gallery, struck poses that were both menacing and compelling.